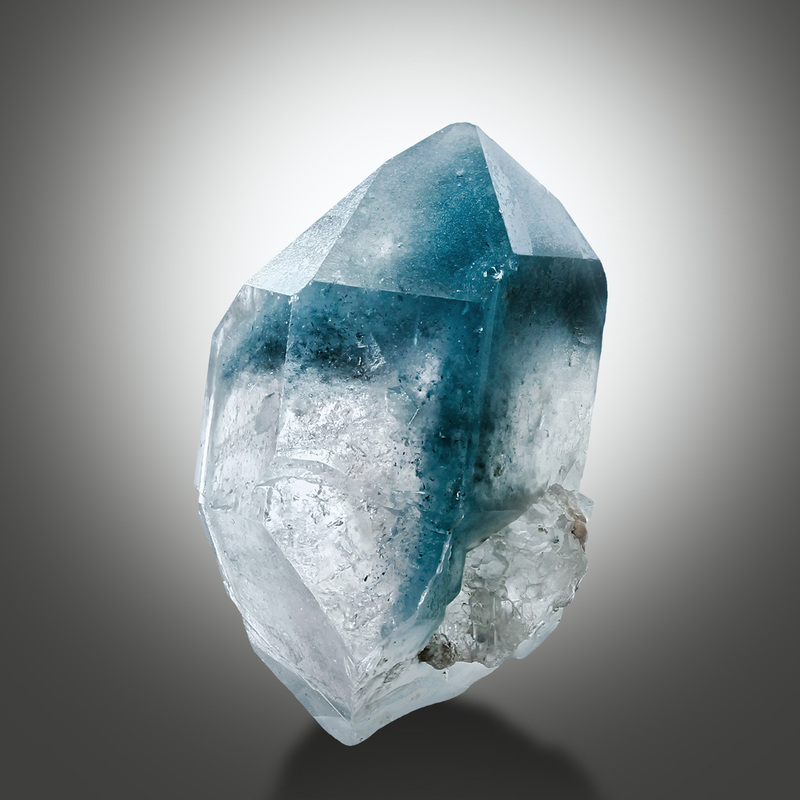 Quartz with blue inclusions is generally very rare. 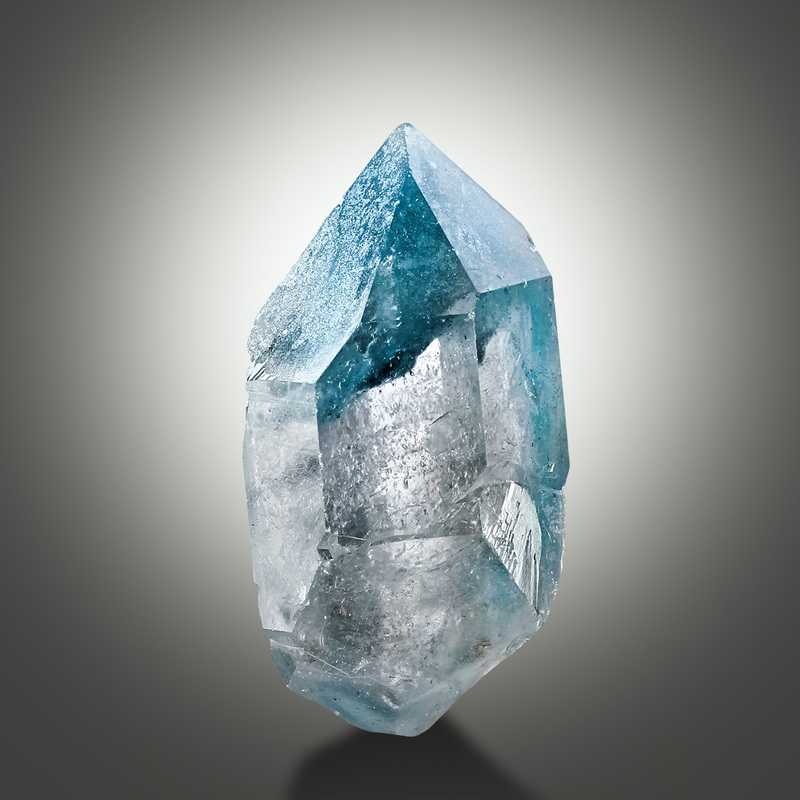 What we have here is a sharp terminated, water-clear and lustrous crystal with very beautiful internal blue-grey zoning from this famous locality. No significant damages to report, better in person.